The Hospital Central Agreement is now final (expiry March 31, 2018.) Download it here. Join us on Facebook – type in ONA Local 46 and request to join this group. 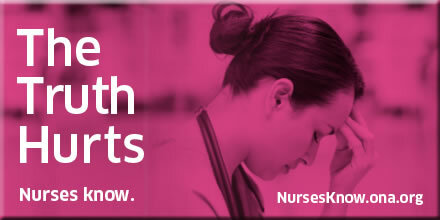 We are a closed group to SAH RNs Only. Click here to access a new version of PRC form (January 20, 2017.) PRC forms can now be found on the SAH Intranet-under Knowledge Base-Forms. Have you sent us your personal email address? We use personal email addresses to contact members.